Some of you may or may not be aware that this coming Sunday I will be taking my Black Belt 2nd Dan (or Nidan in Japanese) grading in Ju Jitsu. 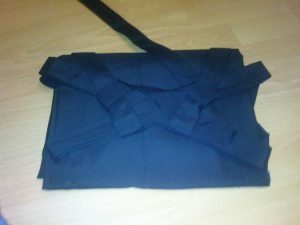 The style of Ju Jitsu I do is called Go-shin Kempo Ju Jitsu and is based mainly at the Masters of Martial Arts academy in Accrington, Lancashire, UK. The association is a affiliated to the British Ju Jitsu Association Governing Body (BJJAGB). We will be required to wear Hakamas for part of the grading, mainly to do Kata, then we’ll get changed back into the usual Gi (The name given for the Karate Style Pyjama suit for those of you not in the know). 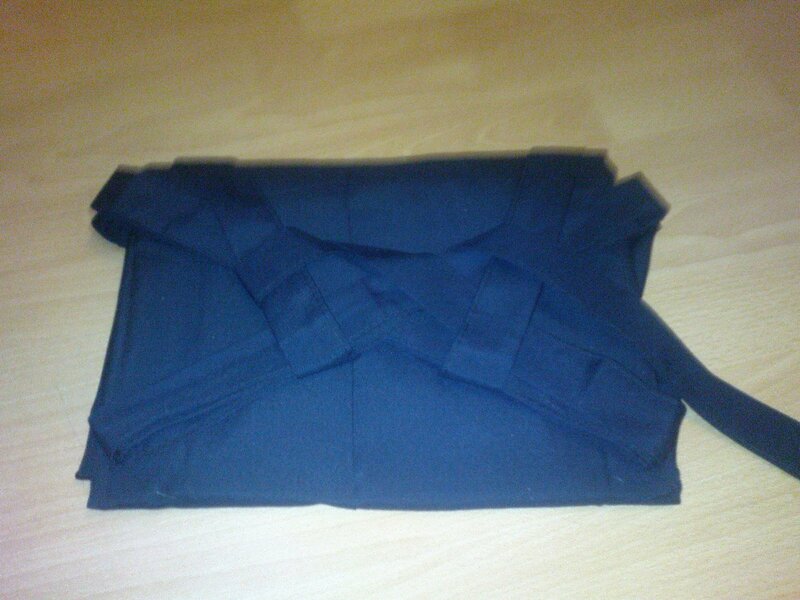 One of the criteria for the 2nd Dan grading is demonstrating that you can fold the Hakama correctly. 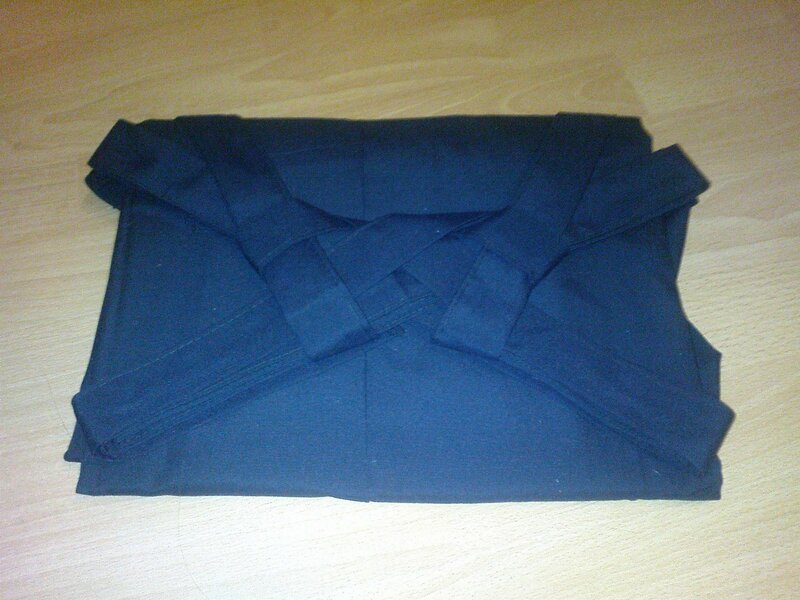 While I was searching the web I couldn’t find anywhere that resembled the way our Sensei’s wanted us to fold them. 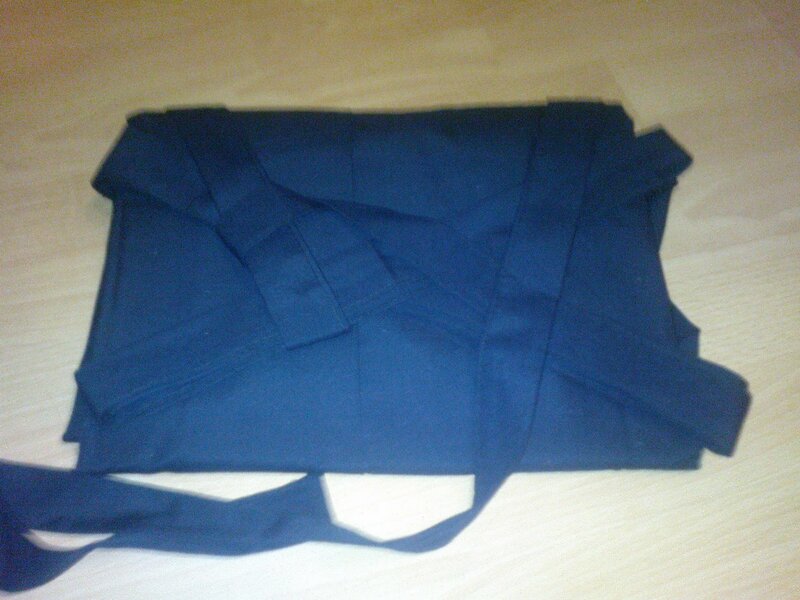 So after practising folding a few times last night I thought I’d share my frustrations and show you this way to fold the Himo(the straps) of the Hakama. 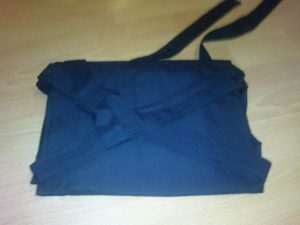 I start at this point because there are plenty of examples of how to get to this point on the web, including the two resources I mention above. 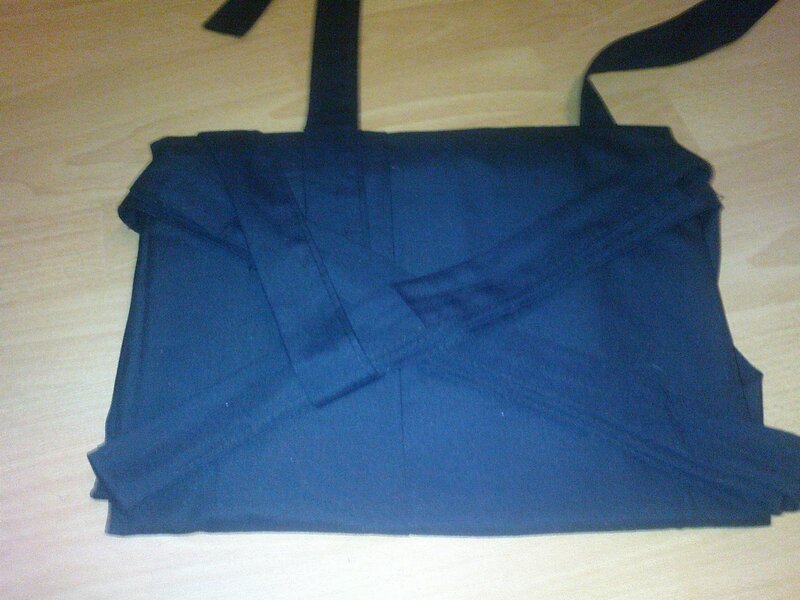 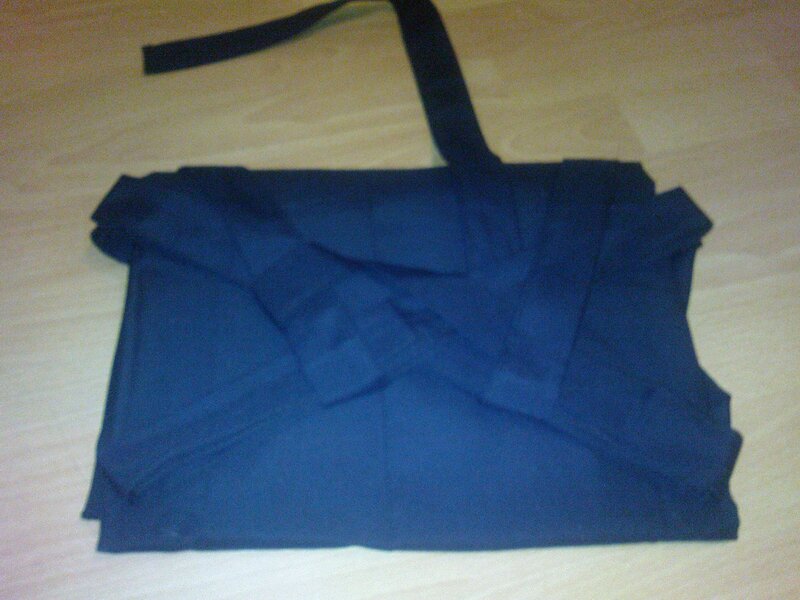 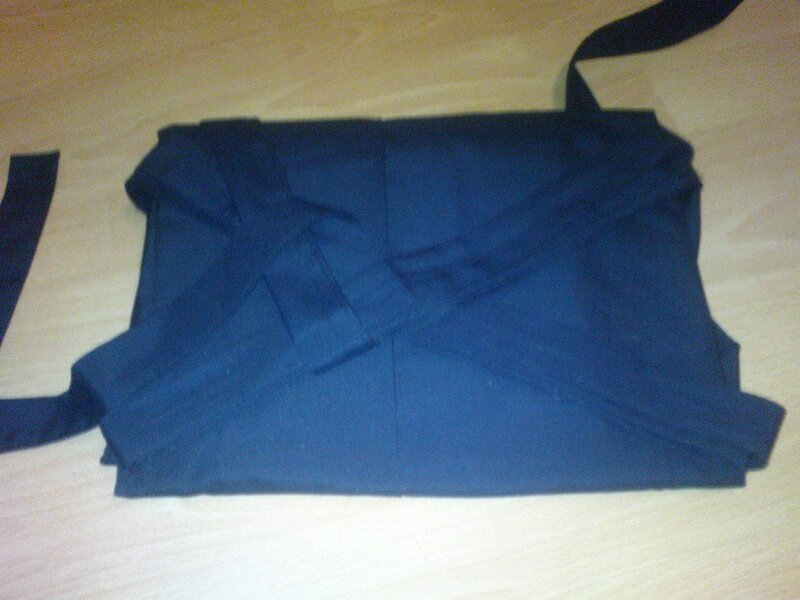 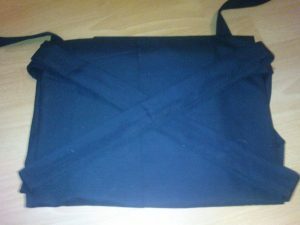 Bring the left short strap over the top of the hakama and place it over the two longer folded straps as shown in the photo. Bring the right short strap over the top of the hakama and place it over the two longer folded straps as shown in the photo. 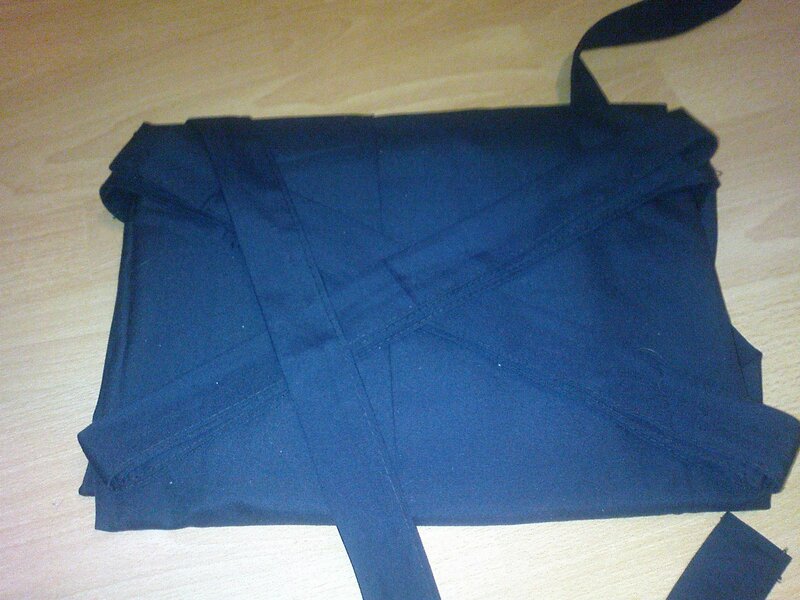 Place the strap along the diagonal line of the long strap but thread it under the existing hoop from the left side, if its too long, tuck it under.